DJ: I draw your attention to the lengthy and substantive piece by Matt Bivens, #19 below, “Russiagate: The Great Tragic Comedy of Modern Journalism.” Some will remember Matt from the 1990s when he has editor of the Moscow Times, back when it was essential reading. 3. TASS: Media: Russia-US relationship gets second chance. 4. TASS: Russia seeks to give extra impetus for economic cooperation with US – Lavrov. 6. Moscow Times: 94% of Russians Are Concerned About the Environment, Poll Says. 7. TASS: Media: Russians see some prospects for online elections. 8. www.rt.com: Last nail in petrodollar coffin? 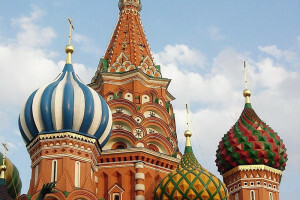 Gazprom could help Russia shift away from greenback. 9. Bear Market Brief: Kremlin regrets Trump’s recognition of Golan Heights. 10. Washington Post: With Mueller gone, can Trump pursue his dream of a Russian reset? 12. The National Interest: Nikolas Gvosdev, An Insider’s Guide to Russia’s Political Interference Preferences. Russia may have less propensity to duplicate the tactics utilized during the U.S., French and German elections in other parts of the world. 14. Irrussianality: Paul Robinson, NO COLLUSION. QUELLE SURPRISE! 15. Moscow Times: Mark Galeotti, Mueller Provides Scant Real Relief for Russia. Mutual paranoia, scapegoating and mistrust will dominate the bilateral agenda in the coming years. 16. Bloomberg: Leonid Bershidsky, R.I.P. Russiagate. Here’s What We Learned. Looking for external enemies is counterproductive for both Russia and the U.S.
17. Wall Street Journal: William McGurn, Mueller Exposes Spy Chiefs. Did our intel leaders have any evidence when they pushed the Russia collusion line? 19. Medium.com: Matt Bivens, Russiagate: The Great Tragic Comedy of Modern Journalism. 20. Reuters: Unpredictable Election Makes Ukraine’s Friends Wary. 21. Interfax: Russian Orthodox Church expects Ukrainian authorities not to force believers to join new church following elections. 24. Bretton Woods Research: Ukraine Elections: Post-Poroshenko Era in the Offing?